Disclaimer: We are part of the campaigning bloggers promoting the release of the film described in this blog post, alongside Allied Contigo. We were not compensated to write this blog post, however, we were invited to enjoy an advance screening of this film. 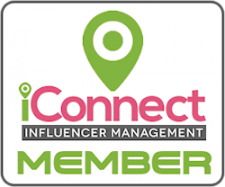 We had such an interesting experience, that we decided to share it with our online community. All opinions are 100% our own. Any and all promotional photos & information were provided to us for press purposes. Please be open, and remember that we are all different individuals, who may have a different point of view than yours. We were invited by Allied Contigo to view an advanced screening of Ghost in the Shell on 3D last night, and let me tell you that--WOW! It was totally an incredible visual experience. To be honest, we are not big fans of watching movies on 3D, but in certain occasions, for the most part, totally worth it. This film, has many visual effects that are brought to life and enhanced by the 3D experience. I can't imagine all the special effects we might have missed, if we had seen this film the traditional way. I am not going to spoil this movie for you, but if you've seen the movie trailer, it is understandable that "Major", Scarlett Johansson's character, is part machine. With that being said, appreciating this film in 3D, captures the sense of observing a bit of the world through her eyes in a very realistic way. I've been aware about this story ever since I was a teenager, because I've been in the comic-book world for a while. However, I never really saw the Anime version of the film to personally share a comparison. Nonetheless, my husband had, and he said that this movie follows the Anime film's story line very closely--he was impressed. 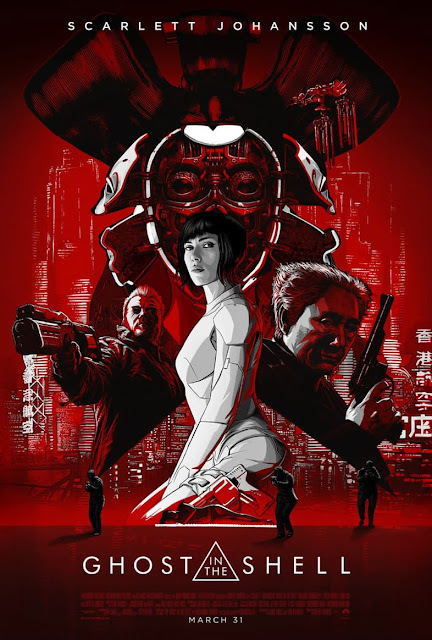 I think that all the components that were incorporated towards the creation of Ghost in the Shell, such as; the music, visual effects, and costume design, were key elements to give the viewer a pretty good futuristic feel. The story in the movie was very well-thought-out, making sure that even if you didn't know about the story previous to watching the film, you are easily caught up. Ghost in the Shell is rated PG-13. Now, can your kids watch this movie? I believe it all depends on you. There is a lot of action in it, meaning; fighting sequences, explosions, crashes, destruction, and loads of guns being fired. There is not a lot of blood shown, however, there are a few exposed injuries, and a few dead bodies throughout the film: nothing far from the "norm" in action movies now at days. If you think your kids can handle movies like 'Terminator', I believe they should be fine. Just as a reference, be aware that there is an action sequence in which the lighting effects may be a little disturbing for people with sensitive eyes. It happens a bit after "Major" gets into a bar fight, and goes through a hall. Sorry for this little spoiler, but if you have sensitive eyes like me, you'll thank me for the heads up. My advice, as soon as the bright white flashes start happening, just close your eyes. It only lasts a few seconds, therefore, you won't be missing much. Now, at the other side of the visual spectrum, keep an eye for the special effects in all the sequences that involve water. I don't know what it is about water and slow motion that always keeps me at awe, but if you are like me, you are really going to enjoy them. All in all, we had a great time, and I super recommend this film to all the people who enjoy action movies, futuristic/robotic sci-fi, and of course, those who love Scarlett Johansson, because she looks amazingly beautiful throughout the film. 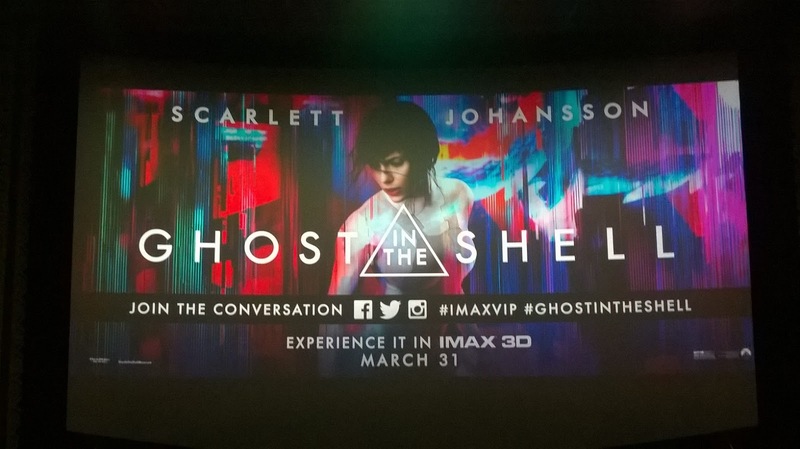 Want to know more about Ghost in the Shell? You can find the Synopsis both in English and Spanish, the official trailer, and an extra movie clip down below. Writers: Masamune Shirow, Jamie Moss, William Wheeler, and Ehren Kruger. Based on the famous Kodansha Comics manga series 'The Ghost in the Shell", written and illustrated by Shirow Masamune in 1989. Produced by: Avi Arad, p.g.a., Steven Paul and Michael Costigan. Executive Producers: Tetsu Fujimura, Mitsuhisa Ishikawa, Jeffrey Silver, and Yoshinobu Noma. Who will you be watching this movie with? Are you a fan of Ghost in the Shell? How did you find out about this movie? Share a comment with us, we'd love to read you. Remember to follow us through social media to keep up-to-date with the latest in cool films like this one, and until next time, don't forget to smile, because it's contagious! 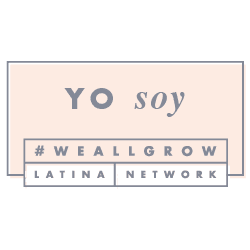 Exención de responsabilidad: Just Happiling forma parte de un grupo de blogs, participando en la campaña publicitaria de la pelicula descrita en este post, y en colaboración con Allied Contigo. No obstante, todas las opiniones son 100% nuestras. Las imágenes e informatción promocional utilizadas en este post, nos fueron proporcionadas con fines de prensa. 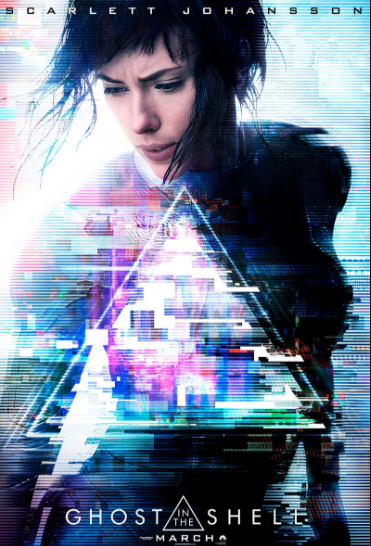 No recibimos compensación para compartir este post, sin embargo, anoche fuimos invitados a un avance de película para ver Ghost in the Shell por Allied Contigo, y tomamos la decisión de compartir nuestra experiencia, la cual podrás encontrar en Inglés al principio de esta publicación. Recuerda que todos tenemos gustos diferentes, y lo que puede agradarnos a nosotros, no garantiza que sea del agrado de ustedes. Escrita por: Shirow Masamune, Jamie Moss, William Wheeler, and Ehren Kruger. Producida por: Avi Arad, p.g.a., Steven Paul and Michael Costigan. Productores Ejecutivos: Tetsu Fujimura, Mitsuhisa Ishikawa, Jeffrey Silver, and Yoshinobu Noma. En un futuro cercano, Major (Scarlett Johansson) es el primer ser humano de su clase: una mujer rescatada de un terrible accidente que es cibermejorada para convertirse en un soldado perfecto dedicado a atrapar a los criminales más peligrosos del mundo. Cuando el terrorismo alcanza un nuevo nivel que incluye la habilidad de acceder a la mente de las personas y controlarlas, Major cuenta con las capacidades ideales para contraatacar. Mientras se prepara para enfrentar a un nuevo enemigo, Major descubre que le mintieron: no salvaron su vida, se la robaron. Ahora no se detendrá ante nada para recuperar su pasado, encontrar a los que le hicieron esto y detenerlos antes de que puedan hacérselo a otras personas. Basada en Ghost in the Shell, el manga japonés aclamado a nivel internacional. ¿A quíen llevarás a ver esta película? Dejanos un comentario, nos gustaría saber. Recuerda seguirnos mediante las redes sociales, para estar al tanto de lo último en películas como esta. Hasta la próxima, y recuerda sonreir, porque es contagioso.